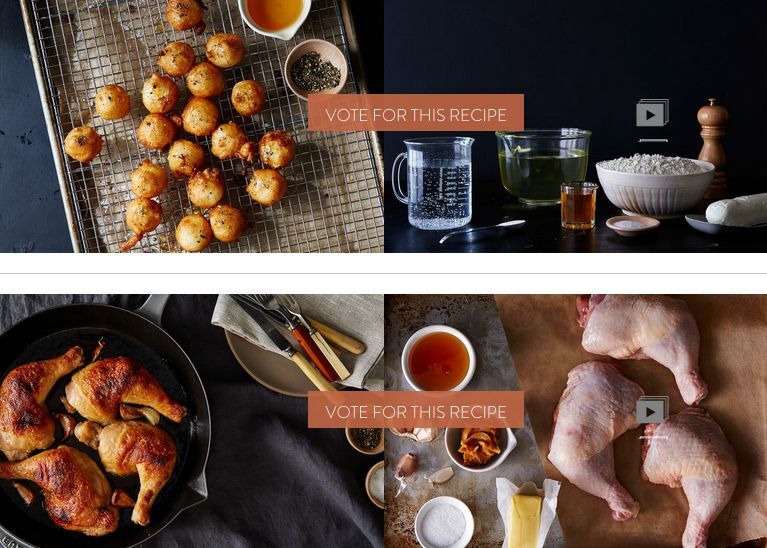 The Finalists are in, and we want to know -- which recipe is your pick for Your Best Recipe with Honey? We've tested and tasted our way through the recipes for Your Best Recipe with Honey, and emerged with two promising finalists: Fried Goat Cheese with Honey and Black Pepper from Alexandra Higgins and Miso and Honey Butter–Roast Chicken from Melanie K. Here's where you come in: We want to know which finalist will win your vote. I like the look of the spicy lamb in honey filo parcels.